Can AC Milan continue with their impressive run? The battle for the last Champions League spot heats up as AS Roma host AC Milan at the Stadio Olimpico with the winner securing the fourth spot for the week. AS Roma had an absolute battering in their last match against Fiorentina as the Giallorossi lost 7-1 away at the Artemio Franchi. The Roman defence looks to be in utter shambles after leaking out 12 goals in their last 3 matches. Eusebio Di Francesco will be looking for a reaction from his players after going through a tough period in January. Gennaro Gattuso has turned his fortunes around in January with just a single defeat in the whole of the last month. The Milan legend was rumoured to be on the brink of being given the sack after a poor run of results at the end of the last year. AC Milan has conceded just 1 goal in their last 5 matches. The Rossoneri tasted success in the first encounter between the sides at the Guiseppe Meazza. Eusebio Di Francesco has a mini-crisis to deal with key players like Cengiz Under (torn muscle fibre), Juan Jesus (meniscal), Diego Perotti (calf) and backup keeper Antonio Mirante (calf) out injured while Steven N'Zonzi and Edin Dzeko will be missing out due to suspension. 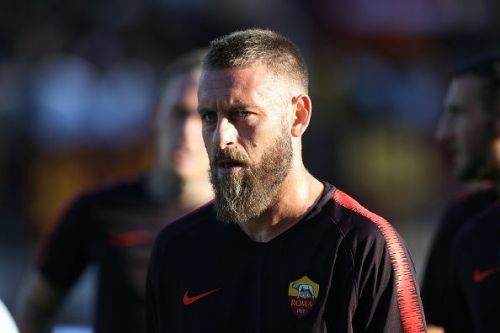 Club captain Daniel Di Rossi is expected to start for the Giallorossi after recently returning from a long term injury. Apart from their long term absentees like Lucas Biglia, Giacomo Bonaventura and Mattia Caldara, Gennaro Gattuso have an almost injury-free squad with Duvan Zapata(torn muscle fibre), Ivan Strinic and Pepe Reina(muscle) missing. 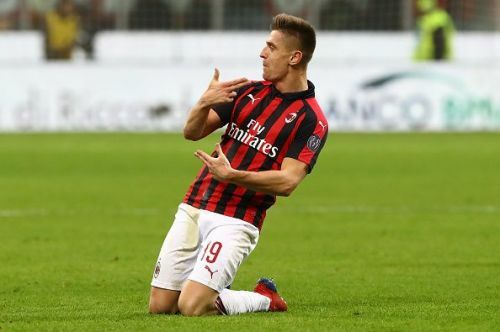 Krzysztof Piątek is once again likely to lead the line after scoring a brace in his first start for the Rossoneri. AS Roma (4-2-3-1): Olsen; Santon, Manolas, Fazio, Kolarov; De Rossi, Pellegrini; Florenzi, Zaniolo, El Shaarawy; Dzeko. AS Roma (4-3-3): Donnarumma; Calabria, Musacchio, Romagnoli, Rodriguez; Kessie, Bakayoko, Paqueta; Suso, Piatek, Calhanoglu.